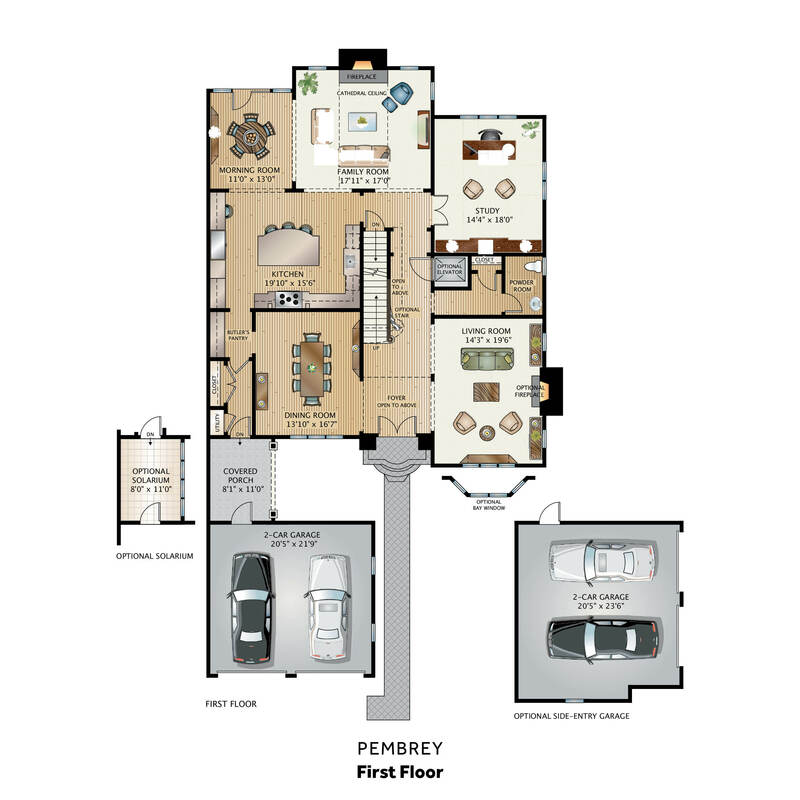 Fusing classic elegance and modern style, the Pembrey’s dramatic two-story foyer only hints at the airy living space at the heart of this generously-scaled home. A soaring ceiling, wood-burning fireplace, and sunny morning room make the great room a favorite gathering spot, while the luxurious European chef’s kitchen with butler’s pantry is perfect for breakfast or large-scale entertaining. 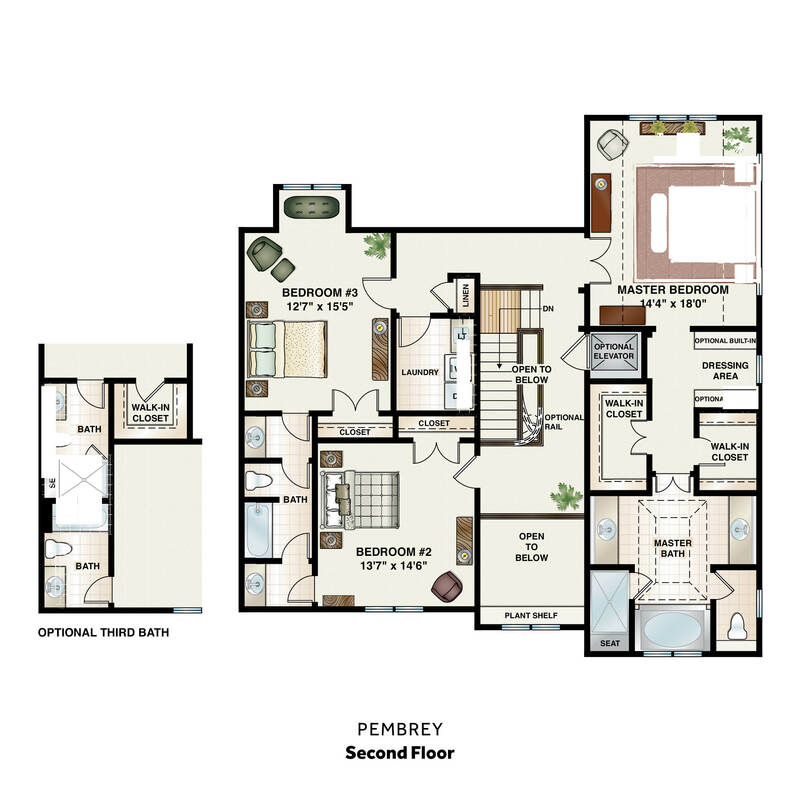 Upstairs, the stately master suite features his & hers walk-in closets, a spacious dressing area, dual sinks, a soaking tub, and shower with seating area. Two additional bedrooms each have their own full baths, and an upstairs laundry room makes everyday chores a breeze.